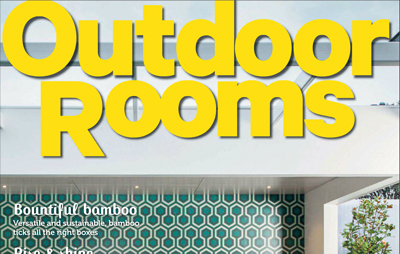 h2o designs has been featured in the latest edition of Outdoor Rooms! 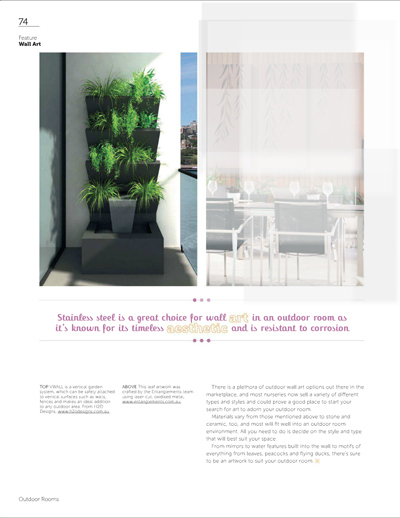 Our VWall Vertical Planter Box System was included in ‘An Artistic Touch: From garden walls to stainless steel, we look at the top trends in outdoor wall art.’ by Rachel Falzon. The VWall can be safely attached to vertical surfaces such as walls and fences which makes it an ideal addition to any outdoor area. 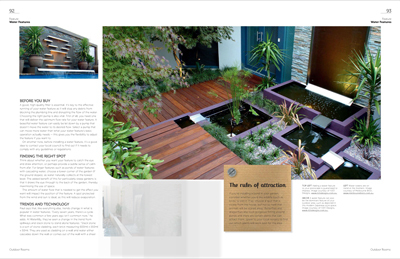 Two of our custom-design residential water features have also been included in ‘Style and Serenity: There’s nothing like the look and sound of running water to create a peaceful atmosphere.’ by Kate McKee. Our use of high quality components, LICOM76tm and other complimentary materials allows the imagination to run wild when it comes to designing your own unique water feature.